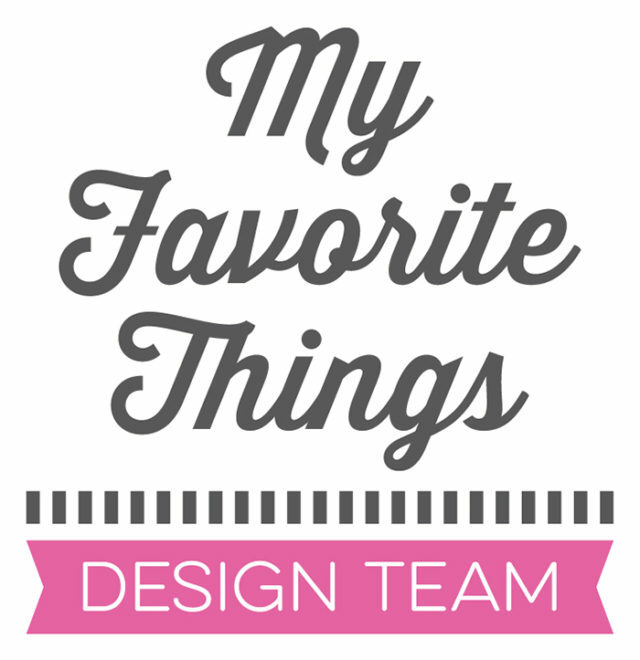 My first project shows how to use coordinating dies to create windows for stamped images. I started working on this card by die-cutting four windows out of a white cardstock panel, using the feather shaped die from the One of a Kind Handmade set. Then, I used the die-cut panel as a guide to align my rubber stamp correctly before stamping the images on my card base. I inked each one of the feathers with two analogous colors using some of my favorite Distress inks: Abandoned Coral, Squeezed Lemonade, Twisted Citron, Cracked Pistachio, Tumbled Glass and Milled Lavender. Next, I added some splatters on my die-cut panel, matching the colors of the stamped images, and foam mounted it on my card base. The sentiment is from the Pretty Handmade set. I stamped it on kraft cardstock using Memento Rich Cocoa dye ink, used the coordinating die to cut it out and foam mounted it onto my card. To finish, I added some sparkling clear sequins to embellish my card. 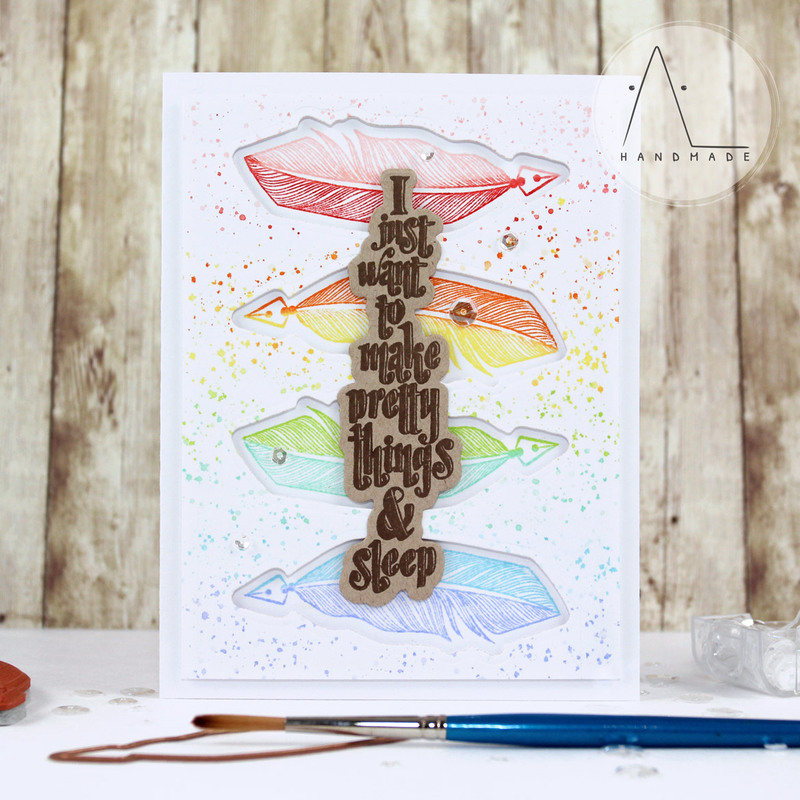 My second card is a clean and colorful example of how to create a dimensional rainbow using die cuts. I stamped the buttons from the Vintage Buttons Handmade set several times in different colors. I used Abandoned Coral, Wild Honey, Twisted Citron, Cracked Pistachio, Milled Lavender Distress Oxide inks. Then, I die-cut each one of them using their coordinating dies. 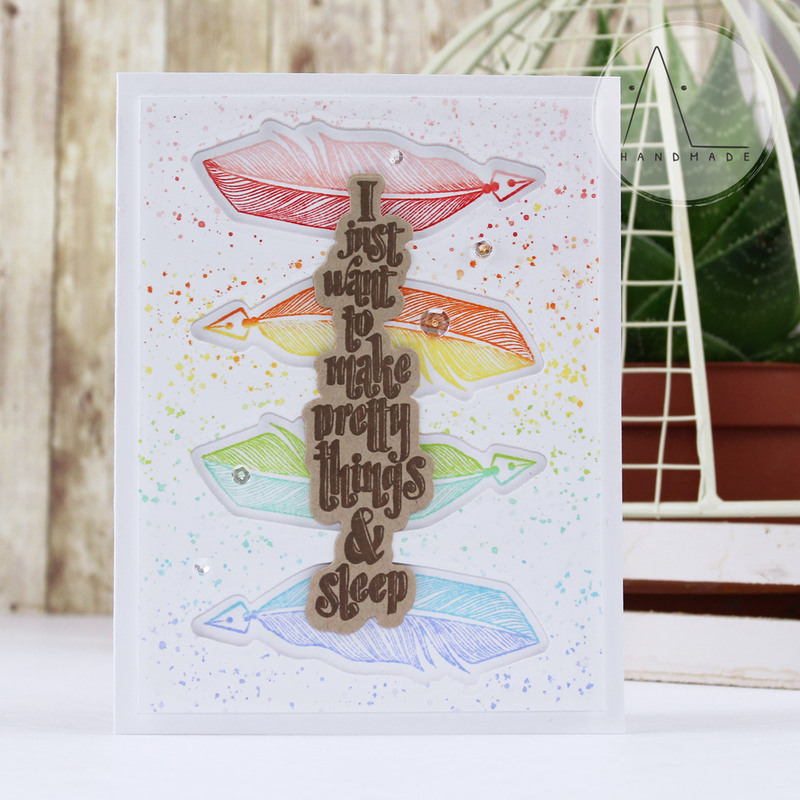 Next, I arranged all my die cut buttons – creating a colorful rainbow – and mounted them onto my card base. I thought it would be fun to add some dimension, so I pop some die cuts up using foam. I heat embossed the sentiment, from the Sew Handmade set, in gold on a strip of vellum and mounted it in the middle of my card. Finally, I added a bit of Wink of Stella to a couple of buttons for shimmer and some sparkling clear sequins as embellishment! Hope you enjoy these projects!